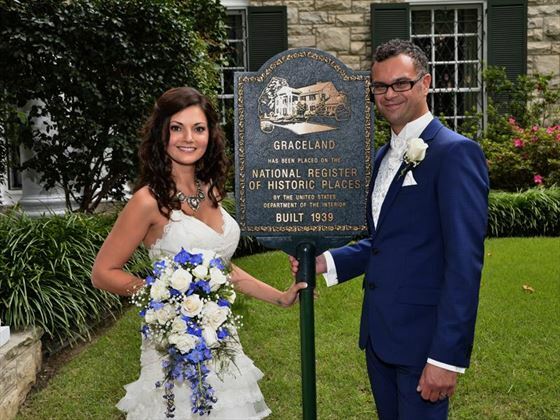 Nestled in the woods adjacent to Elvis Presley's beloved home, Graceland, this quaint Chapel in the Woods is the perfect setting for a wedding to remember. 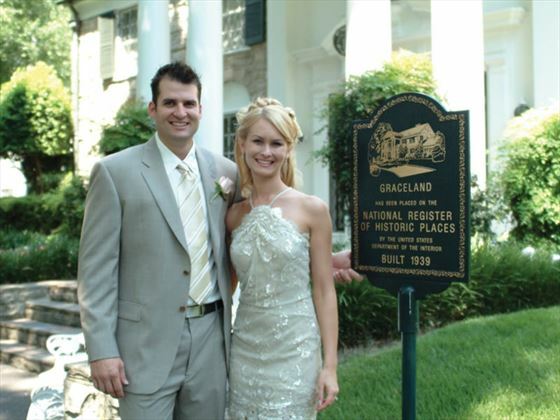 Whether it's an intimate event with just the bride and groom, or up to 50 family and friends, the Graceland Wedding Chapel in the Woods offers all the amenities and services you'd expect from much larger venues. This beautiful chapel and its facilities offer everything you need for the perfect wedding for just the two of you or up to 50 friends and family. Inside the Chapel, your guests will take their seats in authentic, wooden pews. The flickering “gas light” of intricately etched wall lamps will light your way down the aisle. 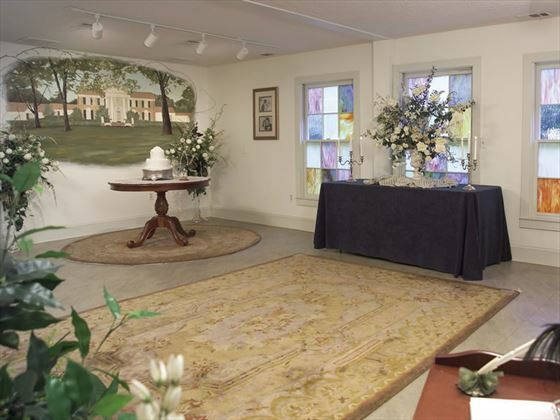 A lovely, stained glass window, reminiscent of the stained glass transom above the Mansion’s front door makes a beautiful setting for your vows. 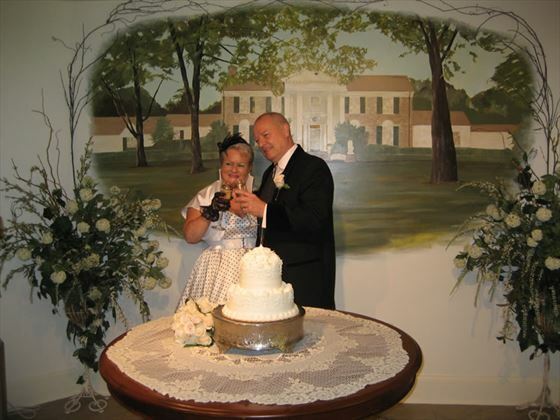 Located in an intimate reception area at the rear of the Chapel, a stunning, hand-painted mural of Graceland Mansion makes a perfect backdrop for photos as you cut your cake as man and wife and toast your new life together. 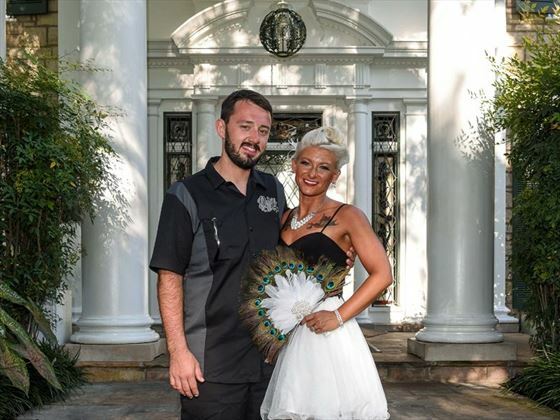 Finally, conditions permitting, for photos that are truly unforgettable, the new “Mr and Mrs” and up to six of your guests (total party of 8) can walk the short, winding path to the Mansion itself!! 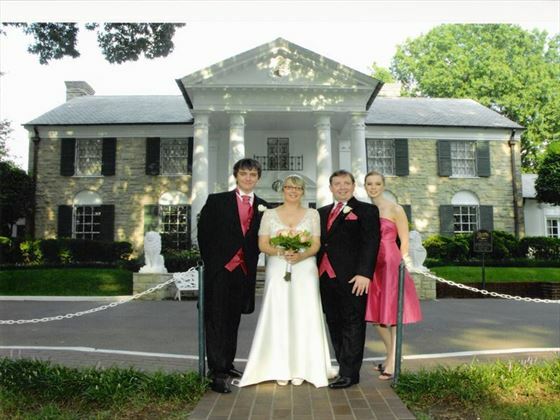 There, you will have up to 15 minutes to pose on the steps of the Mansion known far and wide as Graceland, home of Elvis Aaron Presley. From your first phone call, until your last guest has “left the building,” our dedicated staff of professionals will be honoured to coordinate your every wish. 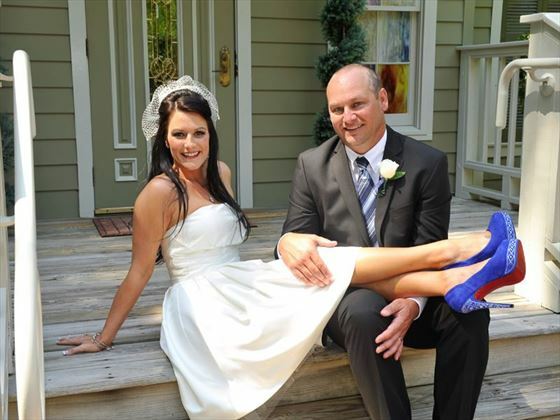 Couples must purchase the wedding licence on arrival into Memphis. The cost is NOT included in the cost of the wedding. Both parties must be present to obtain the license. The license is valid for 30 days. The cost of a Tennessee Marriage License issued by the Shelby County Court Clerk is $97.50. If you have been divorced, decree absolute. If you have been widowed, the original copy of your partner's death certificate. If you were adopted, the original copy of your adoption certificate. Please remember that the documents you supply us with must be in English. If not, please have them translated by a legally recognised translator and/or notorised by a Notary Public. Occasionally the documentation will have to be sent to the Foreign and Commonwealth Office for their approval before being sent back to the notary to sign. 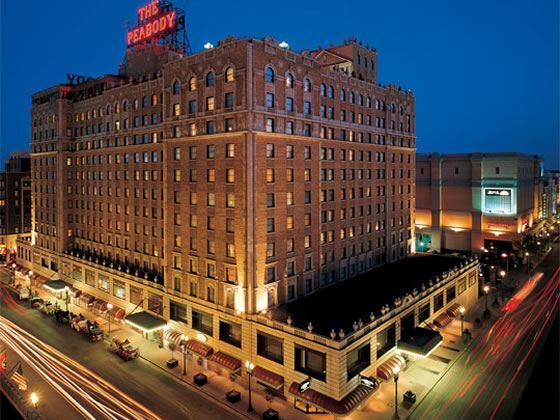 These are three of our favourite hotels in Memphis which are ideal for a wedding or honeymoon, but there are plenty of other great options available to choose from - please call us for details. 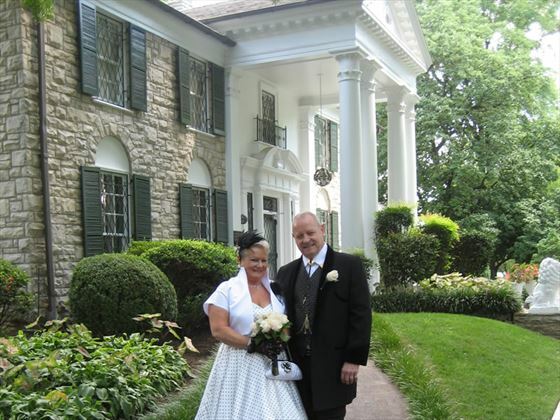 Why book your Memphis Wedding with American Sky?